June 2011 started dry but was destined to turn wet with rain gage totals as great as 11.82" being reported in Cumberland Gap National Historical Park ( NHP ), continuing the soggy trend established during meteorological spring. In the High Knob Massif June temp means varied from 70-75 degrees in the higher elevations by day to 50-55 degrees at night amid cooler valleys of the high country. 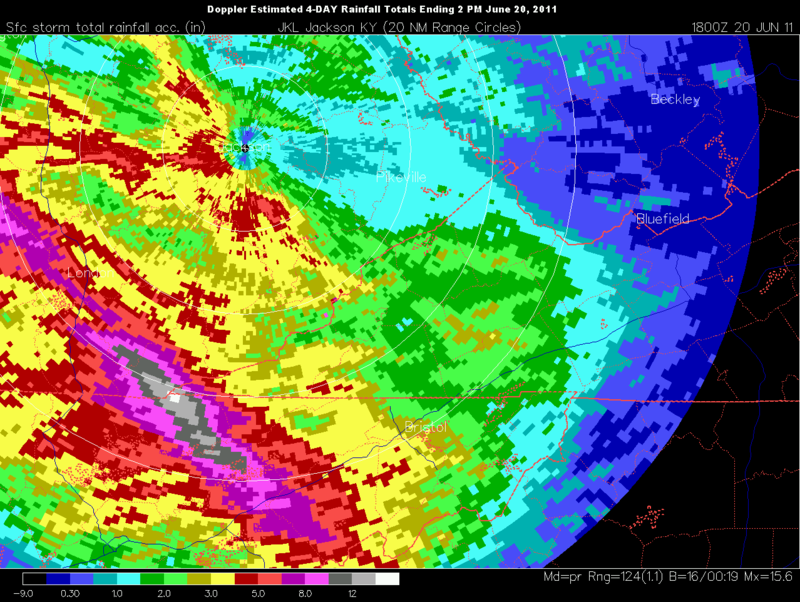 June rainfall was above average with a general 5.00" to 10.00"+ during the month in the massif area ( including the towns of Appalachia, Big Stone Gap, Coeburn, Duffield, Wise, and the City of Norton ). The greatest gauge totals in the entire High Knob Landform occurring at its southwestern end across portions of Cumberland Gap National Historical Park ( NHP ), as highlighted above, where significant flash flooding ravaged Middlesboro and adjacent communities during the morning hours of June 20 ( highlighted later amid the RING of FIRE section ). 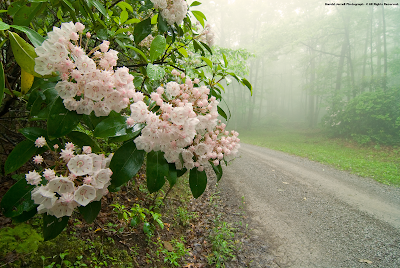 While missing numerous heavy rains during the May to early July period of 2011, which developed adjacent to the Big Cherry Dam measuring point, longer term records from this location are helping to rewrite the precipitation climatology of Virginia. 32-Month Mean Monthly Precip: 6.26"
This 6.26" monthly mean during the previous 32-months translates to more than 75.00" of total precipitation for nearly 3 consecutive years. 1 ). It has never before been duplicated by a NWS-style rain gage outside of the High Knob Massif in Virginia ( not known from any properly placed rain gage ). 2 ). It is known to be less than what actually fell at the Big Cherry Dam measuring point by up to 3.00"+ per year due to evaporation losses and loss in deep falls of snow. A NWS rain gauge has only been in place at Big Cherry Dam since autumn of 2007. 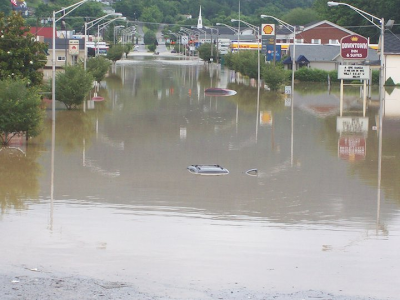 However, based upon City of Norton records and other NWS gage & automated locations across the area these above 3 year intervals would have been as wet or wetter than this most recent 32-month period in which Big Cherry Dam has averaged 10.88"+ more per year than the City of Norton ( * ). *The City of Norton Water Plant was the wettest location in Virginia during a 1983-2003 data scan which compared all other locations in the Old Dominion with available data to it. 4 ). 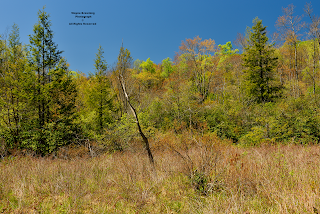 From a natural sciences perspective the above is illustrating that Virginia has an area which over the longer term is as wet or wetter than the wettest locations in the eastern West Virginia highlands. An area that also contains, not only by chance, the rarity & richness epi-center for limited range species in the continental United States ( * ). 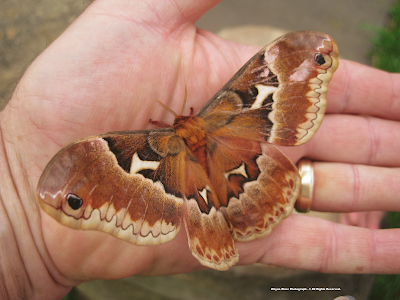 *Precious Heritage: The Status of Biodiversity in the United States. Oxford Press © 2000. This wetness driving many aspects of the natural environment, not the least of which is exceptional karstification with breachment of its geological Powell Valley Anticline. 5 ). Wetness during this past 32-month period has been contributed to by heavy winter snowfall totals, which typically are a significant aspect of the climate in this portion of Virginia. at a permanent residence ). Joe & Darlene Fields and family. The Snowfall MEAN on Eagle Knob for the 19-winter seasons from 1992-93 to 2010-11 was 108.4" ( this is the highest annual mean ever known to be observed in Virginia ). Very special thanks for winter observations also go out to Otis & Nancy Ward of Robinson Knob and to James & Carol Bolling and Cal Adams of Little Mountain ( adjacent to Big Cherry Lake ). Of course, without any doubt, special thanks go out to ALL the photographers who contribute to this website, with very special thanks to my friend Roddy Addington for all the time he's spent amid the High Knob Massif in HARSH, winter conditions ( often with his buddy Bill Harris too ). Thanks guys! It is becoming well established that winter snowfall has a tendency to be heaviest within the Duplex portion of the massif. *According to the latest Drought Status Report released on June 23, 2011 by the Virginia Drought Monitoring Task Force, the Statewide Observed Precipitation for the January 1 to June 24 period of this year averaged 19.47" ( -2.06" less than the Virginia average for that period ). This was -20.34" less than observed at Big Cherry Dam up to June 24. Five days after I posted my June 15 update on this website the number one rated summer threat from the ring of fire became an unfortunate reality for the Middlesboro Basin and communities lying within a corridor of training, torrential rain producing thunderstorms. 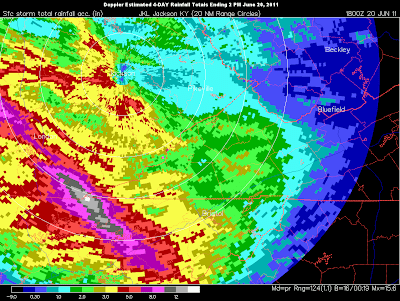 While Doppler radar tended to over-estimate rainfall due to hail and other factors, it clearly defined the main corridor of impact that simply hammered the southwestern half of Cumberland Gap NHP from which a gush of water roared with violent fury into sunrise on June 20.
falling in just over 4 hours ). 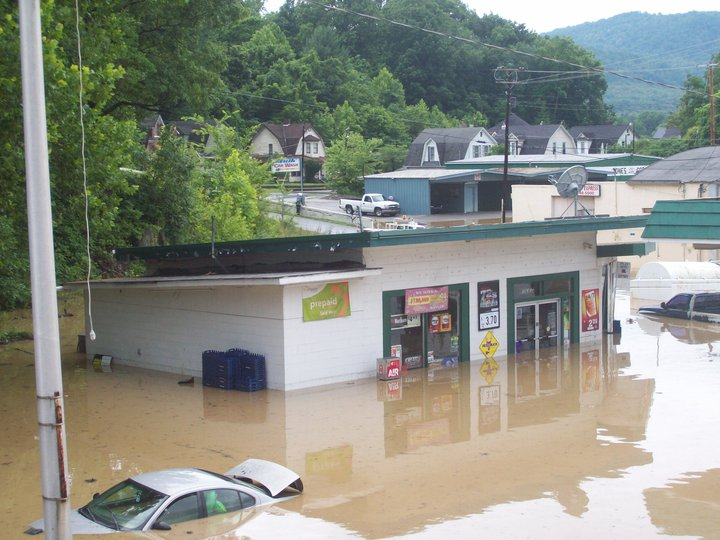 This was a killer, destructive flash flood event that some residents said became the worst flood for Middlesboro in at least 50 years. Pictures submitted by Betty Jones & highlighted by the Jackson, Ky., National Weather Service Forecast Office were very impressive! The corridor of thunderstorms responsible for this flash flood event would have created tragic results anywhere along the High Knob Landform or Mountain Empire, but could have been even worse locally had it been wide enough to severely impact the Martins Fork of the Cumberland River. 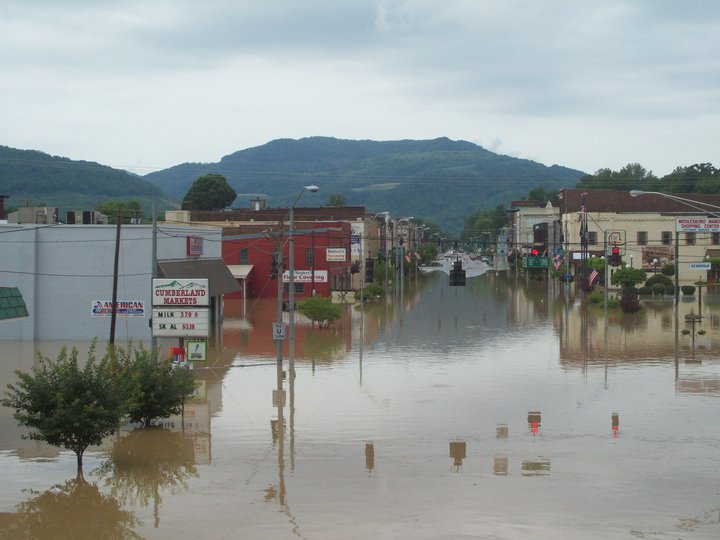 What many may take for granted is how truly dangerous and often random in placement such events are, with a mere 50-60 air miles making this a tragedy for Wise-Scott-Lee counties, for example, as imagine the results of this much rain falling upon, and becoming locally enhanced by, the High Knob Massif ( remnant high country mass of the High Knob Landform ). While the Yellow Creek RAWS recorded 5.71" of rain in just 4.5 hours it is likely, given the typical undercatch of automated gauges in torrential rains, that more did fall overnight during this short period of time than reported by the gauge.